ABORTION HELPS WOMEN MAKE MONEY: Cary Brown, executive director of the Vermont Commission on Women, right, told the House Human Services Committee that abortion is one of the most important tools for financial stability in a woman’s life. 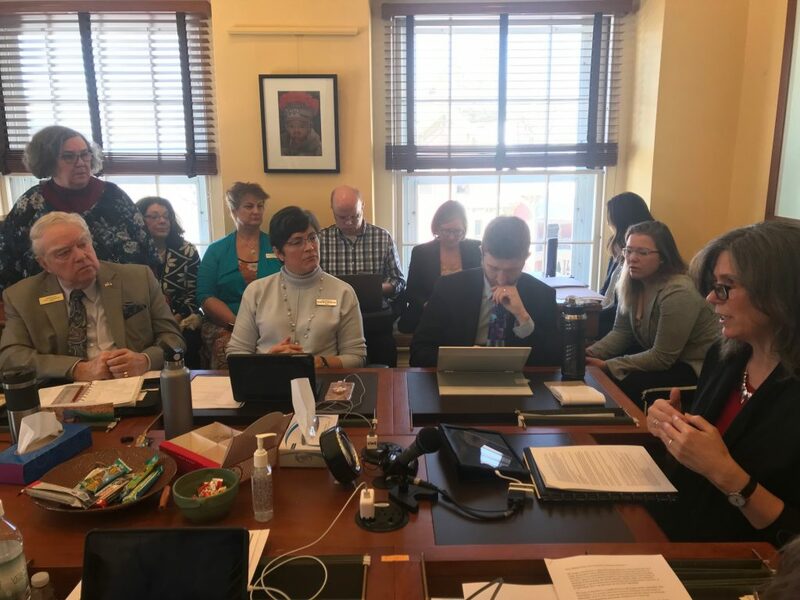 MONTPELIER — The House Human Services Committee on Wednesday heard from more than a handful of speakers about H.57, an extreme abortion bill that would guarantee a “fundamental right” to abortion up to the moment of a child’s birth. Legislative counsel Brynn Hare, in a Jan. 27 memorandum addressed to the committee, explained that Roe v. Wade, the landmark decision that legalized abortion nationwide in 1973, may soon be “invalidated or otherwise undermined by the U.S. Supreme Court,” sending the issue back to the states. 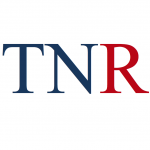 “This would result in a patchwork of different regulations across the states, and an individual’s ability to access abortion services would depend on the state in which the individual lives. Depending on the scope of such a ruling, states may be free to regulate abortion or prohibit it altogether,” Hare’s memorandum states. Against that backdrop, the 11-member committee proceeded to take testimony on a bill similar to one passed this month in New York. That bill, signed last week by Democratic Gov. Andrew Cuomo, allows pregnancies to be exterminated until the moment of birth. By contrast, Roe v. Wade allows abortions only up to the point of a developing baby’s “viability,” or survivability, outside the womb — about 22 to 24 weeks of pregnancy. Among the voices in the committee room speaking from a pro-life perspective was Sharon Toborg, treasurer for Vermont Right to Life. She said H.57’s lack of standards for the abortion procedure allows for some disturbing possibilities for babies. “While Dr. McAfee in her testimony last week indicated that she always makes sure to kill the fetus in the utero by injecting it with a drug to stop the heartbeat, or by clamping the cord, which causes the baby to suffocate, this committee needs to be aware that this does not always work, nor do all abortionists follow her procedures,” Toborg said. “And of course, if this legislation were to become law, an abortionist could not be required to follow her procedures,” she said. This question of when independent rights are granted to a person was again brought up on Wednesday when Patricia Blair, mother of the “Bennington Babies,” dialed in to the committee meeting by phone to recount how in 2010 a drugged driver crashed into her car head-on, killing her unborn twins during the sixth month of pregnancy. While both babies were killed, the driver was not charged with manslaughter. Cary Brown, executive director of the Vermont Commission on Women, advocated in favor of the bill. She argued that decisions about terminating pregnancies have helped the economic advancement of women. She added that denying women the right to abortion may lead to dependence on welfare. Brown’s statement pairing abortion and birth control caught the attention of Rep. Francis “Topper” McFaun, R-Barre Town. “You used the term ‘birth control,’ and one of the ways that you thought was acceptable as a method of birth control was abortion, am I right?” McFaun asked. Following the meeting, McFaun told True North it’s important for lawmakers to clarify language and terms with regard to abortion bills. A public hearing on H.57 is scheduled for 4:30 p.m. on Wednesday, Feb. 6 in the House chamber of the Vermont Statehouse. With all this discussion of House bill #57, it might be the very best thing for Pro-Life that has ever come across the table. We need to update all the laws, as it’s not 1950 any more…by their logic. a) Men are only responsible for getting women, unpregnant, they did not produce a child together, but fetus/tissue. b) State no longer needs to support women who decide to have a child. Men and the state are not forcing them to have children. It’s only tissue/fetus. c) There are no crimes on the unborn, as it’s only tissue/fetus. d) There should be no extra medical coverage for pregnant women and/or premature birth as it’s only tissue/fetus. e) And as some suggested this would also open the sale of baby parts, which to their argument is just tissue/fetus. Consistency shows how bad the above legislation truly is. It shows how it takes away rights and protections of so many women, for a few. It also exposes the lie to what is inside a pregnant woman. Science and religion are in total agreement, yet lobbyists are pushing a false narrative. This push for bill H 57, will be the very best thing that ever happened to pro-life. No one should wonder why the democrats want to remove the word “slavery” from the Vermont Constitution! No right to persue happiness. The same legislators are restricting your rights to firearms and free speech. REMEMBER THIS IN NOVEMBER 2020! MURDER, MURDER, MURDER in the FIRST DEGREE!! Is anyone minding the store? They can slice it or dice it anyway they choose, but it’s still MURDER! The metoo movement like all these feel good charades has carried their agenda way too far. These clowns could care less about morality and evil because they know they will get reelected. I guess that life to the people that are sponsoring this bill just doesn’t matter unless it is their own. Does it mean that I could end their lives if I didn’t want them around?? What’s the difference? Selling baby parts is a lucrative business. This has been proven by David Daldeiden and The Center for Medical Progress and their undercover videos. This is a fact, and killing babies just before birth will yield lots of high-value “parts”. It is incredibly callous, sickening, awful. Words don’t exist to describe the horror of raising babies just to strip them for parts, to make money. If there is hell below, these people will spend a long eternity burning there. Seems to me that these people need a late abortion for themselves. Leave the innocent alone. This is how bad it is in VA, VT may soon be there. Liberal policy. Complete Satanism. After birth deaths. I know it is a severe decision to make, but to what degree and mental state exists to make a decision so soon after delivery. Time to think about matters straightens out the high and lows of the immediate situation. Just heard today on the radio, the VA Dem Governor’s proposal for killing kids after being born was defeated in a committee 5 to 3. I wonder who the 3 were. There has to be an accounting and put the spotlight on them. Wonder how low Montpelier will go. They voted for gun control because of one loony in Fair Haven. Abortion kills far more, but Montpelier isn’t concerned about the later. One has to wonder just how far the left leaning people in this state will go.The winds of change happened in the 60’s maybe it’s time for people to stand up for decency. H 57 is nothing other than state sanctioned murder,of course for quite a period of time the left has set the state up to replace any religion,the state is the religion of the left. Just is just plain SICK!. Is this where taxpayer money is going to pay these people? With all the many other problems VT has (due to Lib incompetence) they concentrate on this. Adaption is time consuming, frustrating in this country to adopt, very difficult. I know a couple that wanted a kid, so they went to China and have a real nice girl without all that red tape. I’ve seen where in the past girls in China were not desirable a few years ago in their culture, but that’s beside the point. Take all the Democrat-Liberals-Socialists brains in Montpelier and squeeze the H out of it and you wouldn’t drip out enough common sense to fill a thimble. the moment of a child’s birth, this has to be the most asinine Bill I have ever seen !! get sterilized…………. These are better solutions than “KIlling” the unborn because of your mistakes………Disgusting. Couples have tried for years to have a child, these fools want to rip it out because it’s an inconvenience. you all understand what that means. ” Brown, executive director of the Vermont Commission on Women, advocated in favor of the bill. She argued that decisions about terminating pregnancies have helped the economic advancement of women.” THIS IS IT! It is ALL about money!! Money. The root of all evil. Oh, the woman will go on welfare if she can’t abort? Doesn’t say much for Vermont women, does it? But then, they are the ones who will be doing the killing. This is Sick. Sick and Evil. This is what the Democrat party has become. The Party of Infanticide and Evil. 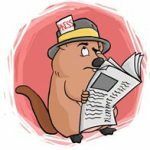 This is a follow up to Vermont’s right to kill themselves….we have gone over the slippery slope. This is Pat Leahy….good Catholic boy; This is Peter Welch…This is Comrade Sanders. 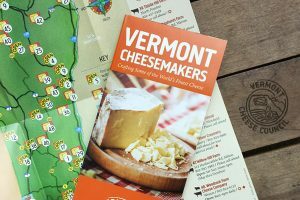 This is Vermont! Mr current Liar governor,can’t decide if he supports it or not,he has to stick his thumb in the air ,to see which way the wind is blowing. Oh that rock solid conservative Benedict Scott. Unwanted pregnancy is irresponsible. It’s even more irresponsible to skip the morning after safeguard. Not to have an abortion in the first three months is inexcusable. Abortion in the ninth month is barbaric. 81per cent of Americans are against this insane legislation. It’s bizarre that legislators will allow a woman to determine the fate of her unborn child and not allow her to choose its education program when she decides to bear and raise it. Why is it a “woman’s only” decision? The other 1/2 should also have a saying right and perhaps and take custody. Many men are very loving responsible people. But with these women deciding Libs as in this article, it’s all about them. 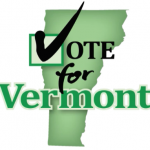 ” Brown, executive director of the Vermont Commission on Women, advocated in favor of the bill. She argued that decisions about terminating pregnancies have helped the economic advancement of women.” Petemo had a good point as does Ms Hillard. It’s about ME, Money and convenience. Why don’t those women that abort keep their legs together? In past such articles there were comments about this subject and Hurray (NY) Coumo. NJ is also wide open on this subject. The Leftist keep making life more and more meaningless then wonder why more and more mass shooting by inanimate guns controlling unfeeling children happen. INFANTACIDE— is this really what we want the state of Vermont to represent? And if it isn’t when will the compassionate feeling sentient vermonters speak out with the voice or actions loud enough to stop it in its tracks? Don, you hit the nail on the head. IT HAS TO BE STOPPED IN IT’S TRACKS!!!!!! In liberalism, there is always a next step. If this thing passes, I do not want to be around for the next step, which will surface at some point. It is so much more sensible to kill H57, than it is a newborn child. Think about it!!!!! This is not about a mothers’ rights, it is about their control over the life or death of their child. What about the father’s rights, it takes more than a mother to make a child. Mean spirited, spiteful women are losing their minds trying to control anything and everything. Roe vs Wade will never be overturned, but in their rush to condemn others with an alternate view on abortion they have stepped off the precipice and fallen into a void of pure insanity. I have always been pro abortion, if you want one go get it, but if you don’t do not have one. But this over the top idea of murdering a viable baby in the last trimester is just plain murder……..adoption is always the answer and I have met so many people in this world that were adopted and they all feel very fortunate to be given the gift of life by their birth mothers. We do not kill prisoners anymore but give them life in prison, what did these babies do to deserve this kind of treatment? God help the people of the USA, we are now a culture of death. is the state that hard up for MONEY that they have to sell baby body parts ? Could be the new plan to bring in jobs to the state, don’t give them any ideas, china is doing this and not only with infants…….it really shows how poor the reasoning and mindset is, completely selfish.